You can learn all you want about the science behind skin procedures that tighten away wrinkles or erase marks and spots, but there's not much better than that hearing dermatology patient testimonials straight from the source. Read these honest responses from people who brought their problems and needs to Skin Care and Laser Physicians of Beverly Hills, where they found just what they were looking for. Amazing physicians!!!! My procedures went smoothly. I would recommend Dr. To anyone looking for a cosmetic dermatologist. Efficient, yet friendly warm service by every staff member. I always feel so well taken care of at your office. Fast, Efficient, Knowledgeable and Personable. The attentions and care of doctor Wesley is very much appreciated, however, even when we get there on time, we have had to wait about 30 to 45 minutes before the doctor showed up in the room. The overall best doctors I have ever seen! I am always treated in a friendly manner with dignity and respect when I visit the office, even though I am a Senior citizen on Medicare. The doctors and staff are the very best in terms of their knowledge and detailed care and follow-up. I feel that I am a valued patient and cared for both physically and personally. So happy with my results thank you. Caring, thorough and my health comes first with them. And I never feel pushed into having extra procedures or products. Thanks for the PRP treatment. Loving the results with not only thicker hair shafts but more new hair growth. Thanks for helping me look better. These places can be so run of the mill but have to say my two experiences with Skin Care have been fabulous. Friendly, efficient and professional. Team is personable, professional and efficient. As always, I was totally at ease knowing my skin was in the best hands possible. This office runs on time and everyone is so helpful and friendly. It is always a pleasure. Thanks! Couldn't ask for a more pleasant experience. The doctor and staff were so friendly and helpful. I would recommend this practice to anyone. Great experience! Love the upbeat energy and efficient pace of the office. No one is rushing around, but you're in and out and never left in a waiting room with others. All questions are answered, procedures are explained, and the attitude is professional and friendly. Highly recommend. Kind and attentive staff, warm and friendly doctors... what more could any patient want. Excellent all the way around. Dr. Jones is the best, totally natural looking results, just a younger, fresher looking you. Dr. Jones is a magician. He is an artist who sculpts the face to look natural and refreshed. A master craftsman. Dr. Jones is the best! His knowledge and technique are top notch and the proof is in the results. Thank you, Dr. Jones! A+++ excellent from the moment I walked into Dr. Derek Jones who is definitely my new and only doctor for everything dermatology and cosmetic. One of the rare doctors today who can truly do it all. Dr. Jones is very professional, and his fills and Botox look very natural. Occasionally there is some bruising but that disappears within a few days. The staff could not be friendlier. As always, everyone in the office is lovely to deal with and efficient. As I had mentioned to others, yours is the best run office I've experienced. And, of course, Dr. Jones is fabulous. Dr. Jones was amazing! He was very professional and friendly at the same time. Also the nurses and the front desk personnel were very nice. I am very happy with the results of the procedure I have gotten done! If you're looking for an experienced and talented doctor who will not upsell you, look no further. He will advise on what he thinks will get you the best results and is incredibly knowledgeable and answers all questions completely. I hate needles, yet I'm always excited to go see Dr. Jones because I look so great after! I have referred many friends there and will continue to do so.... Absolutely the best! I enjoyed my visit with Dr. Jones. I love my results. He is the best injector in Southern California. His staff is fantastic. Beautiful results, minimal discomfort. Dr. Jones is a true artist with a scientist's mind. Having used many physicians for skincare, Dr. Jones is by far the most experienced and most effective doctor. The effects of his injections also last many months longer than the ones I had from several other physicians. Simply the best care I have ever received. I have and do recommend with complete confidence, to both family and friends. I consider it a very lucky break that I discovered Dr Jones and his wonderful practice. Dr. Jones is both, an extremely kind, down to earth person and a brilliant practitioner who is top in his field. The office staff of very pleasant and the office runs efficiently. This office is the way you'd imagine the most perfect doctor's office to be. From the utmost care and super talent of Dr Jones, and the meticulousness of his excellent staff (Norma, Blanca, Susie) right down to the sparkling clean, relaxing environment with stunning views, this is a fantastic experience. Dr Jones worked on my face for over an hour and I walked out 10 years younger. No wonder he's called "a doctor's doctor". Priceless. Dr. Jones consistently provides excellent treatment, listens attentively to my needs and requests, addresses problems with empathy and expertise, and ultimately provides excellent results. Additionally, his support staff is very pleasant, kind and responsive. Great staff. Dr Jones is fantastic. Dr. Jones is the best, and his staff are welcoming and professional. His artistry with fillers is masterful, and I'm thrilled with the results after every visit. The team is always friendly and accommodating. I'm always worried about being late for work but I'm able to see Dr. Jones on time and not be late to my office. He solves all the problems and gives me suggestions how to avoid issues (skin irritations, etc.) going forward. Dr. Jones and his entire staff are truly exceptional. Dr. Jones is incredibly gifted as a cosmetic dermatologist. His staff is so friendly and helpful. The office runs on time and is beautiful. What an amazing experience. Dr Jones is the best dermatologist I have seen. He's very knowledgeable, experienced and talented. And what a great office and support team!! Always a wonderful experience, great office and Dr. Jones is the best. I have never been dissatisfied with the service I receive from Dr. Jones and his staff. Professional and friendly and always willing to answer any questions I may have. The Best! LOOOOVED Dr. Jones! He was caring, honest + masterful. Wonderful face-side manner! "AWESOME! Dr. Jones is wonderful, and he makes you feel at ease even when your procedure scares you. Thank you for keeping me well and looking good!" "Dr. Jones is the best physician for cosmetic fillers in Los Angeles. I have gone to other dermatologists previously for cosmetic fillers, and I never got near the outstanding result Dr. Jones achieves. I receive BOTOX® and Restylane® for my face. I get such a long-lasting result that I can go for much longer periods between sessions of fillers, unlike any other physician I have gone to for fillers. Dr. Jones has an outstanding bedside manner... and is bluntly honest as to what kind of realistic result I can achieve. Dr. Jones never pushes the many procedures he offers. ... I like his low-key manner. I would not let any other dermatologist inject me with fillers. I love his staff. They are all very professional and friendly." 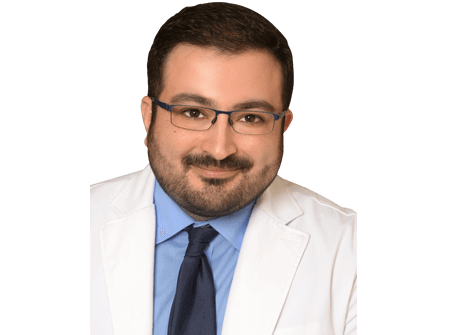 Dr. Jones is exceptionally talented and skilled, has a caring and concerned manner, and keeps his patients closely informed. His knowledge is unparalleled, and the results are amazing. His office is always helpful and professional. At my last visit, as always, Dr Jones's work was perfection. I have been seeing him for a decade, and no one can figure out why I not only don't seem to age at all, but why I look better than ever! He is a true artist; his work is subtle, yet incredibly effective. There are people in my city I could see, but that will never happen as long as he's around. Super staff, too! Excellent, as usual. Excellent is the only word for Dr. Jones. Nothing else could apply, except for personable, kind, compassionate, caring, and a doctor to set the standard for other doctors to follow both in bedside manner and professionally. I have seen him since the late 1990s when he first started. He has always been fantastic since day one! Dr. Jones was even more kind and attentive than I had heard. He has a wonderful artistic eye in stepping back to see how the work is going. Everyone in the office was very nice, efficient, and thoughtful. I am very happy to have found Dr. Derek Jones. From the time you step into the office door until the time you walk out of the office door, you experience patient service unlike any other medical office. Dr. Jones and his staff take the time to listen to your wants, needs, and requests while explaining the procedure thoroughly and providing professional care. The results were as explained and could not have gone more smoothly or professional. The overall experience exceeded all my expectations and was like experiencing the 5-star hotel of medical offices. Thank you, Dr. Jones, and all of your staff! You truly are the doctor of doctors. I am always pleased with my appointment with Dr. Jones. He is skilled, thoughtful, kind, and always exercises exceptional care and judgment in his work. I leave feeling that my appearance has been improved, but without the noticeably "done" look. Wonderful experience. I love Dr. Jones' love of his profession, his knowledge, experience, and his commitment to his patients. Seeing Dr. Jones always makes my day! He is an artist and perfectionist. I will never go elsewhere for my filler and cosmetic dermatology needs. Dr. Jones injected Voluma into hollows of my face and it was like an instant miracle. It is so subtle that people don't know except that they think I look terrific. I, of course, know the difference from before and after. Really amazing. And Dr. Jones is an artist .That is important because he sculpts your face. Thanks a million! I have been a patient of Dr. Derek Jones for more than 10 yrs, and could not be more satisfied with this Dr. and his wonderful staff. I have been treated A++ each and every visit. Truly, everyone really cares in this office, and they treat you like an ambassador. They all really care and take care of you, and it shows. I am truly pleased and satisfied whenever I leave after a consultation or treatment. Dr. Jones is the best at understanding how to make you look your best, and natural. He is AMAZING!!!!!! Dr. Jones was pleasant and polite and seemed interested in my concerns. He didn't try to push other products or services and was sensitive about keeping costs down for me which I appreciated. Dr. Jones is a true artist and his expertise cannot be beat. Love Dr. Jones, he is extremely professional, caring and focused on your well being. A terrific experience overall! Thank you Dr Jones, for being the absolute BEST!! With all of your help you easily erased 10 years off my face. I will never let any other doctor do any type of injections for me but you. In the past, I was very unhappy (bumpy lips) you have fixed all of that. Thank you for listening to what I am asking and always being on top of your game. And being truly dedicated to making everyone more beautiful! I have been a patient of Dr Jones for many years. He is consistently personable, warm, honest and always concerned about my well-being. Whether I am there for a rash or a cosmetic procedure I have his complete attention. And I am the beneficiary of his wealth of knowledge and talent. And, as an added bonus, the office staff is lovely. Everyone does their job well and with a smile. They don't overbook so I am always taken on time. As a professional woman I greatly appreciate that. I am always impressed with their efficiency and yet I never feel rushed.I have been to many dermatologists in the past, but since experiencing Dr Jones, I would never go anywhere else. Dr. Jones' exceptional expertise, finesse, technique and immense pride in his work will put any patient at ease. His warm and personable nature makes every visit a pleasure, as does his professional and welcoming staff. He's an innovator in the field of non-surgical facial rejuvenation. 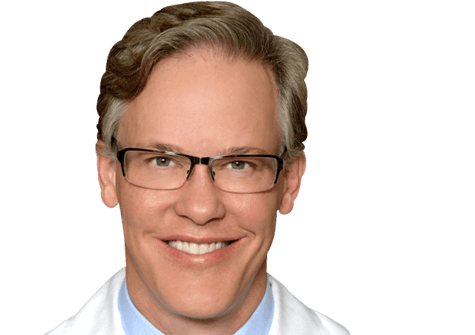 He served as Lead Investigator on the JUVEDERM VOLUMA™ XC study, and as an investigator on the BOTOX® crow's feet clinical study that led to FDA approval for both. He created the Dr. Derek Jones Facial Harmonics™ Approach. Dr. Black is a miracle worker! She puts love, care and most importantly her genius into the care of every patient. I know this because not only do I go to her, but my sister, my mom and many of my friends are under her care. She understands how hard it is to age, and allows me to do so very gracefully (without anyone knowing). I am so grateful to have Dr. Black in my life. Dr. Black is the absolute best! She is talented patient kind and honest. I highly recommend her. I was accommodated with a last-minute appointment, but I felt so welcome and Dr. Black spent so much time with me that I never felt rushed or like an imposition. It made me feel really well looked after. Thank you Dr. Black and to Sam the receptionist who was very friendly and warm! Dr. Black was amazing! I will keep coming to her for all of my skin care needs and would happily recommend her to friends and family! Dr. Black is the best. Literally the best. She takes her time with you but never leaves you waiting while she's with other patients. She really cares about all of your skin care needs and has the best suggestions of how to address everything. Also, her support staff is always so kind and helpful. She herself is exceptional and she leads a really great team. I had IPL done with Dr. Black and she was amazing. Super attentive and informative. I came because of the great references and will definitely be back. Dr. Black is exceptional. She is very knowledgeable in her field, and everyone I have met on her team so far has been friendly and professional. She is currently treating me for acne, and a keloid scar, both of which I have been struggling with for 10+ years. I have mild to moderate acne but I am 26 and it has been consistent since I was 13. For my acne I have tried every topical retinoid, oral, and skincare treatment in the book. I have spent thousands of dollars but it never fails to come back. After my first session Dr. Black put me on Accutane which no other doctor was willing to do for me before. I expressed my concerns with the drug after hearing some horror stories and she explained everything in detail and reassured me that it was not scary, and the best choice to get rid of the problem long term. Her office will help facilitate the lab work for you, so you can do everything in your monthly appointment, instead of having to go offsite. I have seen numerous doctors, dermatologists, and plastic surgeons for my scar and after having the keloid removed twice in 5 years followed by radiation the second time... I was left with an even bigger, bright red scar, and two small parts that had started to keloid again. In three sessions I have seen more progress with Dr. Black, than the last two years with the aggressive steroid treatments she is administering. I can't praise her enough for how genuine she is, and treats me like she would a friend. More than anything, I can't thank her enough for giving me hope back!! Dr. Black was knowledgeable and helpful. She really understands my needs as a model and how to get the results I desire. After some very bad experiences with other dermatologists, I feel like they are finally getting me on track. I was having acne issues only on my face which is the most important part for me and looking ready for shoots. The office was beautiful and everyone was helpful. I would recommend Dr. Black to anyone who is modeling and needs help with their skin. I was thrilled to see Dr. Black. She addressed all of my concerns calmly and professionally, and listened very attentively. I cannot wait to try the remedies she suggested and/or prescribed, and start seeing some results! Dr Black was kind and made me feel incredibly comfortable on top of being an excellent detailed oriented physician. I am very impressed with her and extremely happy with my results. Thank you. This office is incredible. I've never had to wait beyond my appointment time to be shown to an exam room and once I'm there, the doctor is in to see me very soon after. Everyone is very polite and kind and in good spirits. Clearly everyone loves to work there Dr. Black and her team seem to care very much about my health and why I'm there. And she takes the time to really talk through with me all options for my skin health, not rushing me or any aspect of the visit. I actually look forward to these doctor visits and strongly recommend this office to anyone. Dr Black is the best! Very knowledgeable! Great bed side manner. She listens, doesn't rush you. Dr Jeanette Black was amazing. I have loved Dr. Jones for years and I can see the amazing choice he has made in picking an associate like the vibrant, gifted Dr. Black. He has trained her to be a perfectionist like himself at the same time nurturing with utmost professionalism. I can't wait for my next visit to feel 15 yrs younger as I did for a 72 yr old. I'd initially consulted Dr. Jeanette Black to investigate the possibility of "reversing" years of ill advised (mild to moderate) sun damage. She had laid out several treatment options for me, taking the time to explain each one in detail, the costs, and any down time involved. She started me off with hydroquinone/Retin-A cream, which has had a surprisingly significant effect in just two weeks' time. Further, unrelated to sun damage, I recently had a VBeam treatment with Dr. Black to remove some small angiomas. The treatment was quick--no more than 15 minutes--and entirely painless. 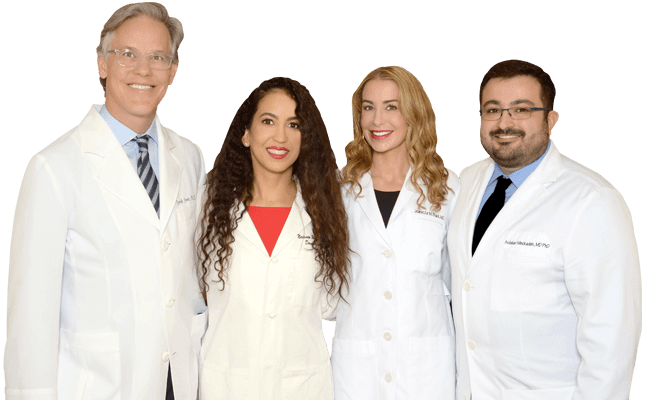 Dr. Black and the staff at Skin Care and Laser Physicians of Beverly Hills are top notch. It's always a pleasant experience from the time you walk in to the time you walk out. Very friendly and helpful staff. Dr. Black is awesome! She is extremely knowledgeable, walks you through all options for treatment, and keeps you at ease. I plan to recommend whenever I can. Beautiful. Office and everyone associated with this office is kind, warm and experienced. Dr. Amelia Hausauer was wonderful. She was knowledgeable and very gentle. She also spent a lot of time with me...unusual in today's world. I am just thrilled with the outcome and her work. Also thank you to Dr. Jeanette Black. Thanks to Dr. Black, my skin is glowing! As always, the service was very friendly, professional, and effective. Had a treatment that included both Dr. Jones and Dr. Black (first time meeting her). I always feel relaxed (excited, actually) going in for an appointment. Thank you for helping me keep my youth, LOL, without making it (too) obvious. (Nice to have met you, Dr. Black). LOVED Dr. Black and would definitely recommend her to others! 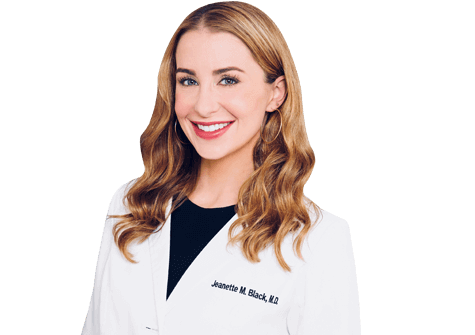 I'm new to LA and my previous dermatologists were always in a rush so Dr. Black's undivided attention and extremely pleasant demeanor were a welcome change. Without a doubt I want her to remain part of my health care team moving forward. The staff were very helpful, and Dr. Wesley made me feel comfortable with her knowledge and reassuring demeanor. The staff are always friendly and professional. And we can't say enough wonderful things about Dr. Wesley. She is the best. Dr. Wesley is awesome! That sounds trite, but I really cannot think of any other way to describe my experience. She's gentle, professional, and does not force products or services on her patients; she just listens to what the patient wants and takes it from there. 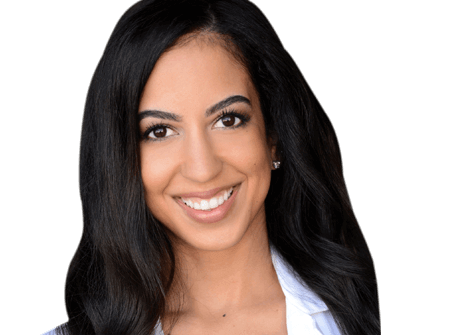 She combines incredible medical training with a warm, genuine approach to treatment. You cannot ask for more! The staff is also very helpful and supportive. Happy to be back with Dr. Wesley!! !...she is the BEST!!! Dr. Wesley and her staff are professional and friendly and never push any treatments on you! The information you get from your questions are always answered in an excellent and informative way. Highly recommend them. I always feel comfortable with Dr. Wesley and her analysis and suggestions for what I need to look my best. She's highly professional and trustworthy. Always a. Harming environment in the office and Dr. Wesley is perfection. Dr. Wesley is extremely knowledgeable and professional. She answered all my questions and provided me with more than enough information for me to make an informed decision about which procedure to go with. She did an amazing job and look forward to seeing her for further procedures. Highly recommend this place. The staff is excellent, always welcoming and professional. Doctors Wesley and Jones are wonderful; always concerned and caring regarding skin problems related to pre-cancers or the "ravages of aging." Dr. Wesley is the best I was enjoy seeing her.... all the girls at the office are so sweet it's one of the reasons why keep on coming back even though I'm down in San Diego. I had such an amazing experience with Doctor Wesley. I can't think about better Doctor in the U.S.
Dr. Wesley was amazing in discussing my options for the work I am looking to do. Not to mention she has an outstanding personality, skilled and insightful. Always friendly staff and Dr. Wesley is amazing. "I'm crazy about Dr. Jones and Dr. Wesley. They are both skilled, ultra-experienced, and provide up-to-the-minute information about whatever concern I ask to address. Dr. Wesley's approach is to advise me of available alternatives to whatever I ask, which allows and encourages me to make the decision that best suits my needs. When I leave from my appointment with Dr. Jones, I am confident that he has done the best that can be done for whatever is bothering me at the time or for whatever I want to improve. I know that he has the up-to-the-minute information as to what will best deal with my "issues," and I completely trust his assessment, approach, and skill. I also appreciate that Dr. Jones is communicative and friendly. I never feel that I am just the third, etc., patient of the day. In short, he is a pleasure. Dr. Wesley is always professional, courteous, and kind. Very well-versed in all topics in her field. I've been a patient for several years. Dr. Wesley is an AMAZING doctor. She spent way more time with me than normally allotted for a patient. She explained everything about my condition, the options available to treat it and could not have been nicer. She's so smart and beyond-qualified that I was embarrassed to be taking so much of her time. Location - 9201 W. Sunset Blvd. Suite 602, Los Angeles, CA 90069.